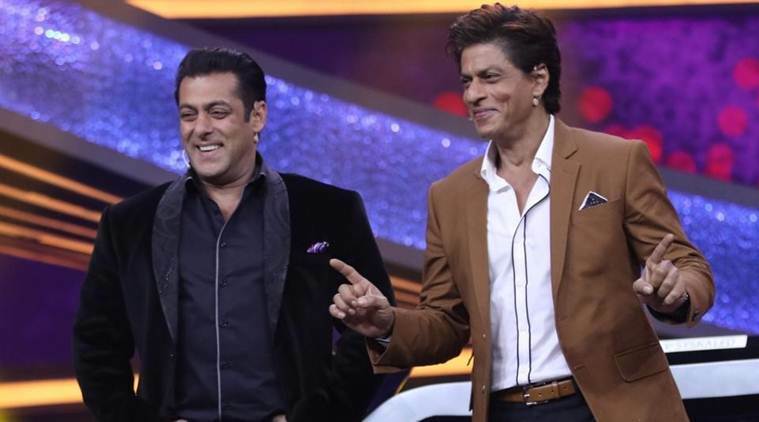 Courtesy: Salman Khan and Shah Rukh Khan were seen together in Zero. Salman Khan has been busy filming the third instalment of Dabangg franchise and his next with Ali Abbas Zafar, Bharat, is scheduled for Eid release this year. Even after Race 3’s debacle, his fans are excited to see him back on the silver screen and for Salman, this is his sheer luck that people shower him with so much love. In a recent interview with DNA, the Bhaijaan of Bollywood was asked about him being the most celebrated Khan among the three Khans. “SRK is a legend, as is Aamir. A bad movie here or there may happen, but they will always come back. Actually, tension toh mera hai. Aamir and SRK know their craft. I’ve heard people saying they’re not so sure about me,” he joked. After Bharat and Dabangg 3, Salman has Sanjay Leela Bhansali’s Inshallah in the pipeline. The director-actor duo is reuniting for a movie after 19 years. Not only Bhansali, but Salman has also been a favourite of many filmmakers. For this too, the 53-year-old actor credits his luck and destiny. “Like I said, luck hai, destiny hai. Maybe there is something they see that I don’t. Anyway, what they look for in a hero is a mystery. The audience wants to spend money to see my films on screen, they watch them on satellite television also and they want to see me in my shows. I don’t know yeh kab tak chalega, but jab tak chal raha hai, my idea is to give my best, no matter what problems I go through, physically or mentally,” the Bollywood superstar told DNA.